Last week, Angela (a.k.a. Angela Fenwick Photography), sent us a link to a slideshow of our photo shoot we had with her a couple of weeks ago. We've loved her warm, emotive newborn shoots for a while. 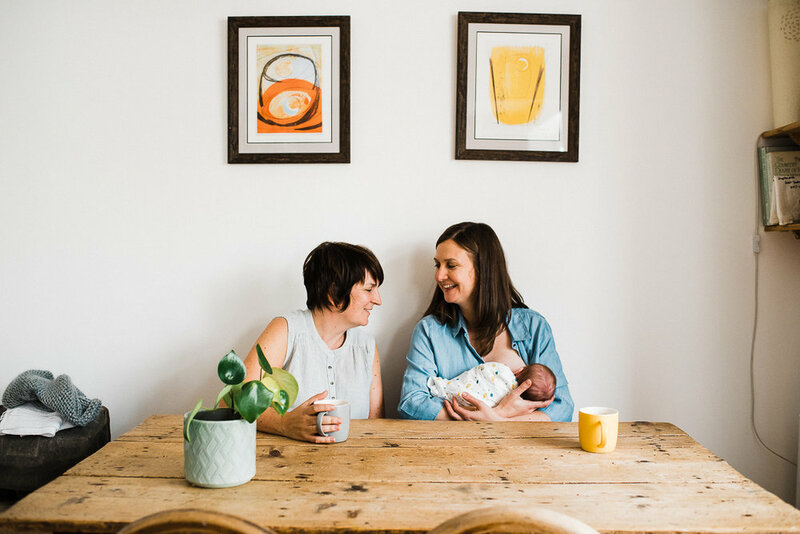 Although me and Suze are documenting life with Olive in our own photographs, having this shoot really cemented how we feel about family photography. These images are here for us now to look at, frame, print, thumb through, But in the future, they'll be Olive's to enjoy, and although strange to think about at the moment, then they'll become an heirloom to any family she may have too. These photos are so much more than the paper they'll be printed on. The thought of being on the other side of the camera made us feel pretty vulnerable in the run up to the shoot. Would we look too tired? Would we be really self conscious? I even worried about letting go of control on the shoot and just letting Angela do her amazing work. But do you know, when we were in it, these things didn't enter our thoughts. For those 2 hours we just had time for each other. Time might be flying by, but we're so grateful for that afternoon, and for the moments held in these images.